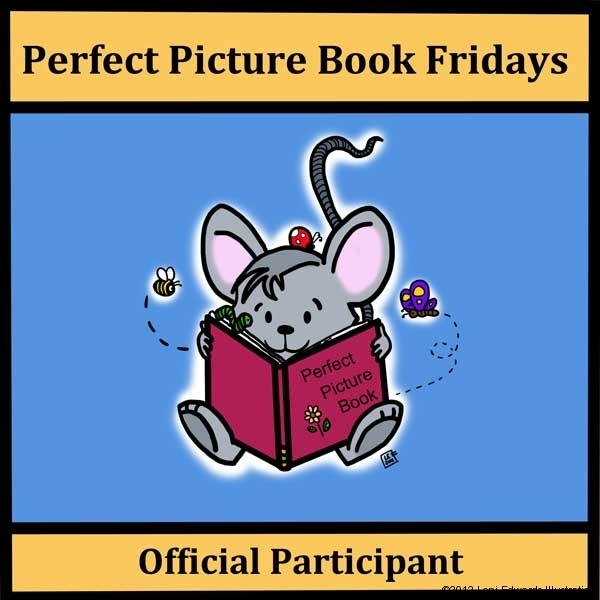 My choice this week for Perfect Picture Book Friday is a fun tale about a little tractor and his friendship with a calf. There was once a friendly little tractor. His name was Otis, and every day Otis and his farmer worked together taking care of the farm they called home. Otis liked to work. This is a story of a little tractor and a calf who is his friend. They are very happy until the farmer buys a new tractor. Otis is retired behind the barn. When there is an emergency at the farm, it is Otis, who saves the day! Activity Village has more coloring pages. These are farm animals. This looks like such a nice book! I love that it’s about friendship and kindness in a scenario that might appeal to boys. As I said on Nessa’s site, although I haven’t read this yet, there’s something about it that reminds me of Mike Mulligan and His Steam Shovel, which is one of my all-time favorite books. i’m going to have to search this one out! thanks for sharing! Yes, I thought the same thing about Mike Mulligan! The style he used was so classic. I love it. I too am moved by stories that remind us all that there is still great value in the elderly and older possessions. There are things they know and can do that the younger can’t. It sounds a very endearing tale. Also love the name, OTIS! Yes, isn’t that a great name? I am also moved by stories that teach the value of the elderly. Thanks for the comment! Oh yes, Renee! He will LOVE it! Thanks for your comment, Margaret! It reminds me of “Mike Mulligan and His Steam Shovel” by Virginia Lee Burton. We’ll have to check it out. Great review. Enjoyed the video so much as I like hearing what inspired the author. I enjoy stories about an old tractor that still has its place. Thanks Pat! I love finding videos like this with author/illustrator interviews. Another Otis review, it must be a book worth having! I picked up a copy of last week’s recommendation, The Curious garden, and it is every bit as wonderful as you said it would be. Thank you! Thanks for another great recommendation. I really enjoyed the video. The illustration technique looks interesting. Otis looks vibrant, but the overall illustrations appear dark. HI Stacy! I’m glad you liked the video. The illos are in mono chromatic, but the pops of color really stand out. I really didn’t get a dark feeling from them. Maybe it is the cute style in which he drew. It really worked. LOL Yep, it’s fate 🙂 Otis is well deserved for two reviews in one day! Another Otis!! I guess I’m supposed to read this one…must be fate. Thanks for the recommendation! Yes! 😀 Thanks for stopping by! Otis is a popular little guy! But then, who could resist that cover illustration? And the story sounds great. As I mentioned to Nessa, this reminds me of Dumpy the Dump Truck, a book I reviewed a couple of weeks ago. I think Dumpy and Otis would make great friends! Thanks for you comment Beth. I have Dumpy on my list 😀 I bet you are right! Great pick! I love the illustrations in this book! Me too, Eric! Thanks for the comment. Love the cover of this and the review, thanks Loni. Haha! It’s worth a try 😀 Thanks for the comment! Both Otis books in one week and both are such perfect books. You’re right about the artwork…you said it perfectly. Thank you for your comment Penny!